Renting a boat in Venice. 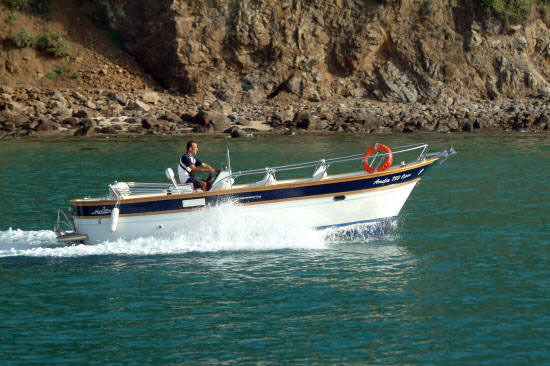 The Gozzo Sorrentino is a type of boat among the most suitable for a day cruise: easy to govern, medium-sized and great comfort. Equipped with all the amenities you need to enjoy a wonderful day in the lagoon. Due to its excellent stability and security, it is perfect for families and groups of friends who want to enjoy the sea and sun in maximum autonomy and tranquillity. 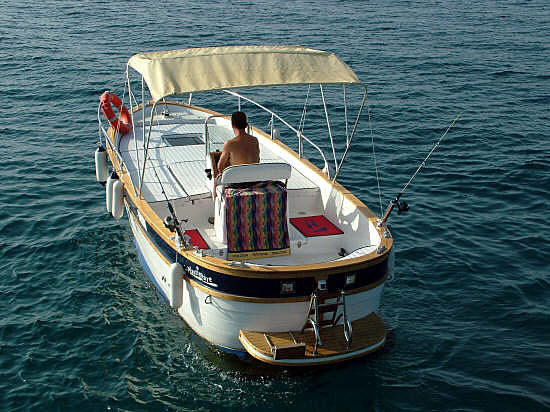 It is equipped with a large sunbathing under which there is a small cabin very useful. The best way to spend a day at sea with no queues, and this at a truly affordable price, thanks to our great deals on rental or lease, and the low consumption of the diesel engine of new generation. You do not need a license. Delivery and collection at our premises or other locations by arrangement. 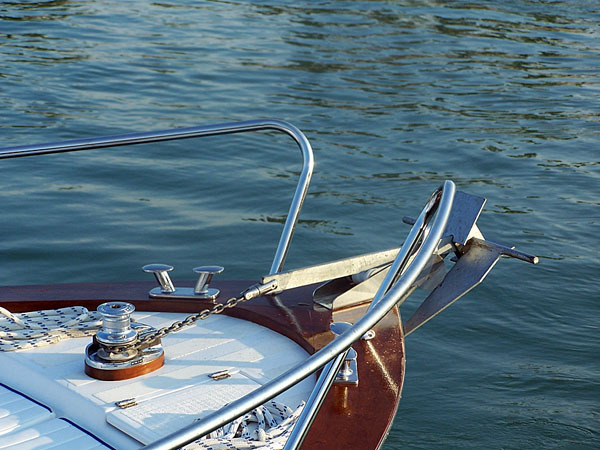 Extra features: upholstery, teak deck, ladder, bilge pump, electric winch, awning, shower, radio, VHF, fridge. Questa voce è stata pubblicata in Servizio turistico e contrassegnata con boat rental, boat vacation, boat venice, excursion lagoon, sea excursion. Contrassegna il permalink.